Dennis Ferry, former Principal Trumpet of the Orchestre de la Suisse Romande in Geneva, Switzerland from 1977 to 2008, began his musical education in Pennsylvania with his father, a trumpet player and big band leader. After obtaining a Bachelor's degree from Carnegie Mellon University, Dennis joined the U. S. Air Force Concert Band in Washington, DC. During this time, he obtained a Master's degree from Catholic University. Dennis has also held the position of Principal Trumpet with the Jerusalem Symphony, the Düsseldorfer Sinfoniker, and the Rotterdam Philharmonic. From 1983 until 1997, Dennis was also Principal Trumpet of the Colorado Music Festival in Boulder, Colorado. Dennis has also played and recorded on the baroque trumpet (historic trumpet without valves) with “Les Arts Florissants” (Paris), “La Chapelle Royale” (Belgium), "Gli Angeli Genève" (Switzerland), and the “Boston Early Music Festival Orchestra”. His two solo CD’s (on Harmonia Mundi France) met with great success. The first (cantatas of Scarlatti and Melani) is played on the natural trumpet; the second, on cornet à pistons (virtuoso works from La Belle Epoque). Dennis has also recorded the Ponchielli Trumpet Concerto and "Rose Variations" (Robert Russell Bennett) with the Denver Municipal Band. Future projects include a CD of trumpet ensemble music, a CD featuring the orchestral trumpet section, and a CD on natural trumpet. Dennis is also active as an arranger and orchestrator. His arrangement of Roger Kellaway’s “Morning Song”, published by BIM, exists for both trumpet ensemble and for brass quintet. Dennis' arrangement for brass quintet of Grainger's "Lincolnshire Posy" is published by Solid Brass. Dennis has also authored an excerpt book on the use of high-pitched trumpets in the orchestra called “Piccolo Trumpets” published by Virgo Press England. In addition, he has taught and given master classes in Switzerland, Holland, and the United States. As Principal Trumpet for over 34 years, Dennis has participated in nearly 700 live radio broadcasts and appears on over 30 commercially available recordings. 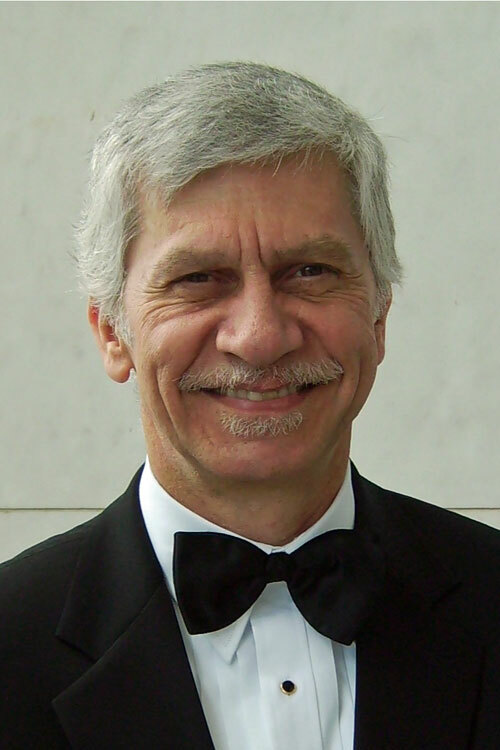 Dennis is living in the Washington, DC area, performing regularly with the Washington National Opera, the Kennedy Center Opera House Orchestra, National Symphony Orchestra, Baltimore Symphony Orchestra, Concert Artists of Baltimore, Opera Lafayette (baroque trumpet), National Gallery Orchestra, Alexandria Symphony, and Washington Bach Consort (baroque trumpet), among others. In addition to his classical credentials as Principal Trumpet of a major European orchestra for over 31 years, Dennis is an extremely versatile musician, playing not only Baroque music on the historic baroque trumpet, but also as a jazz musician in big bands and as a pit musician for musical theater. Dennis is a member of AF of M Local 161-710, Washington, DC. Dennis Ferry is married to flutist Stephani Stang-Ferry, Assistant Principal Flute of the Kennedy Center Opera House Orchestra and Washington National Opera.